This is the first cold weather camping trip we were actually prepared for. 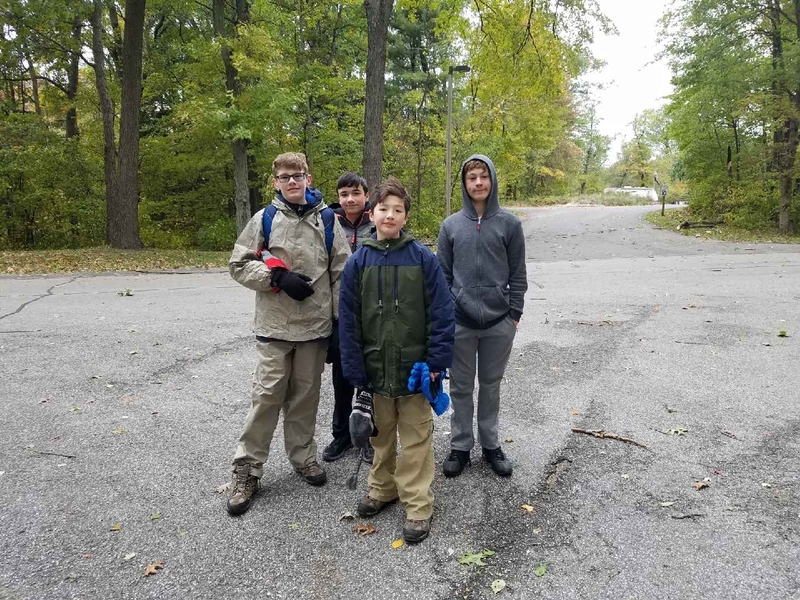 Troop 39 joined 5 other Chicago area troops for the Dune Challenge. 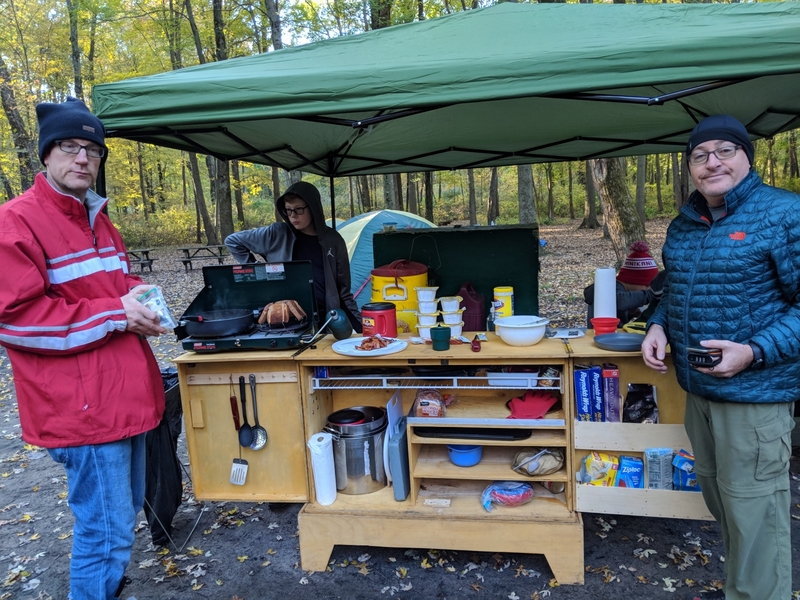 The troops competed in various events, including knot tying, racing the dunes, texting (using fairly archaic signal flags instead of electronics) and cooking. Our troop cooked Lasagna in a dutch oven. After 15 miles of hiking that day, it tasted amazing. 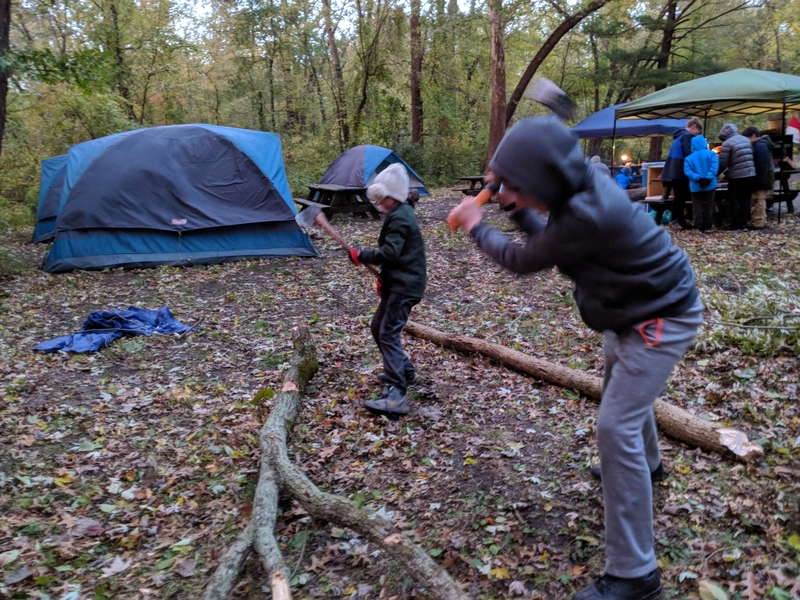 The scouts cut their own logs and built their own fire. The scavenger hunt was fun - all 4 miles of it. This activity was followed by a race up the dunes followed by a hike. 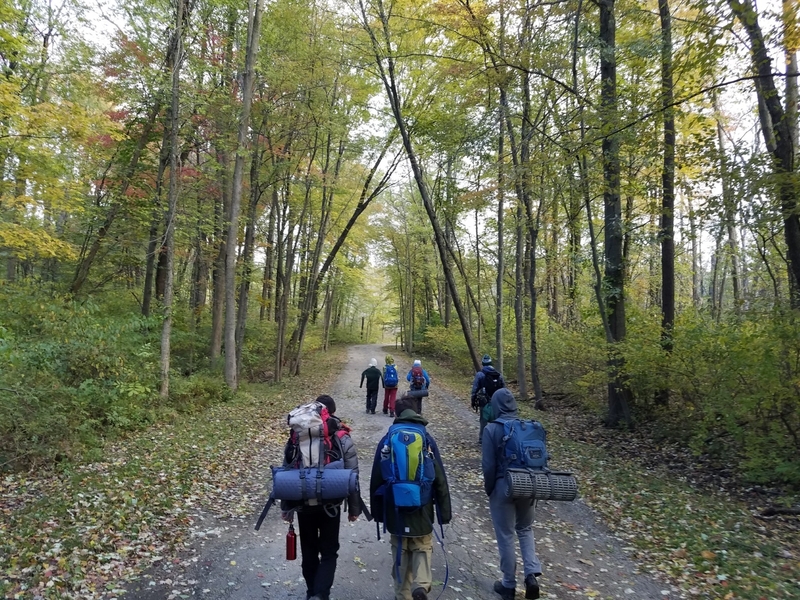 An older scout taking the younger scouts through the ax training course. 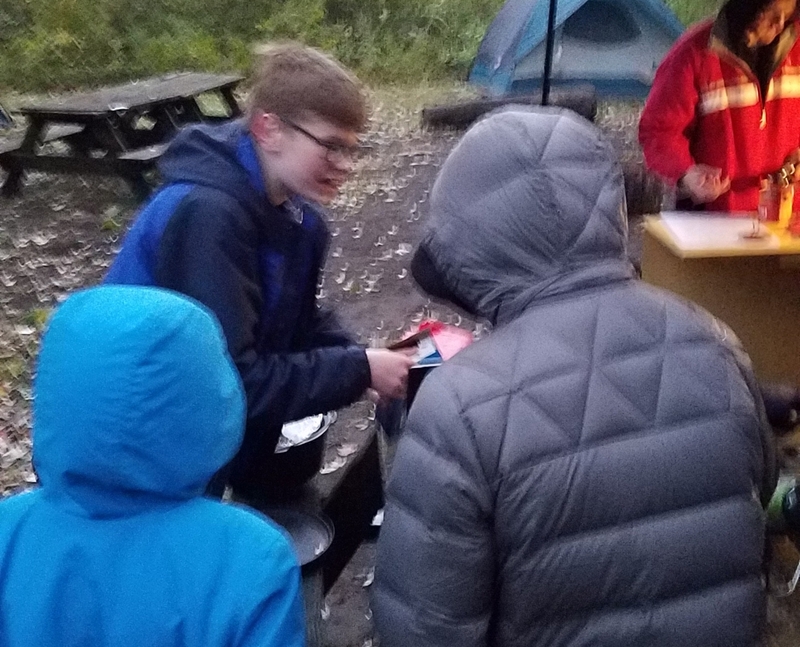 The older scouts showed the new scouts how to set up a tent, build a fire, and cook Lasagna. If you look closely, you'll see Lucky Charms. Scouts are nothing if not resourceful. 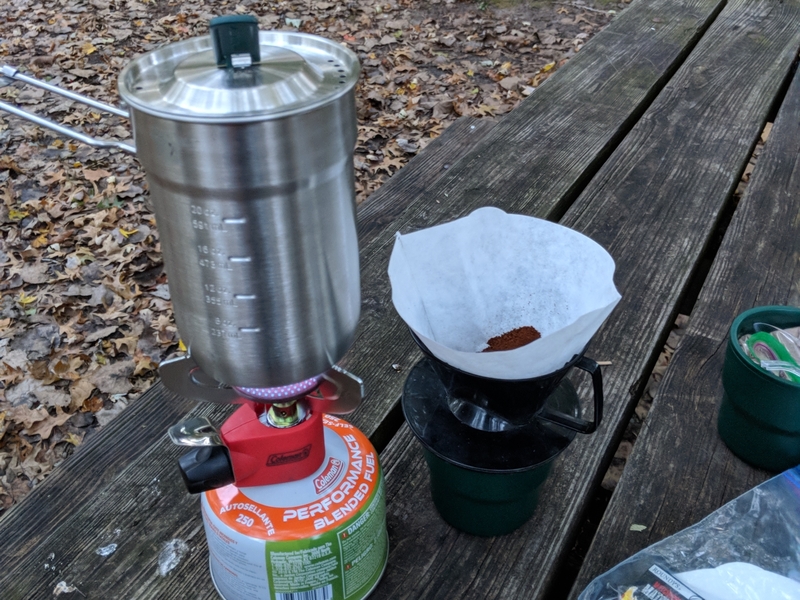 Personal coffee maker for camping. Best invention ever. The scouts appropriated this device for hot chocolate. 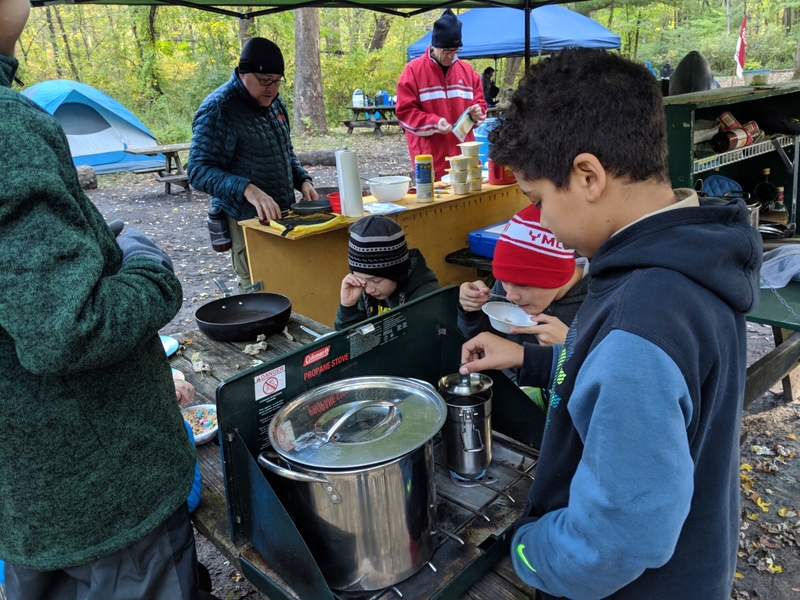 The scouts cook for scouts. Adult chefs have to fend for themselves; the adult meals tend toward the gourmet side. 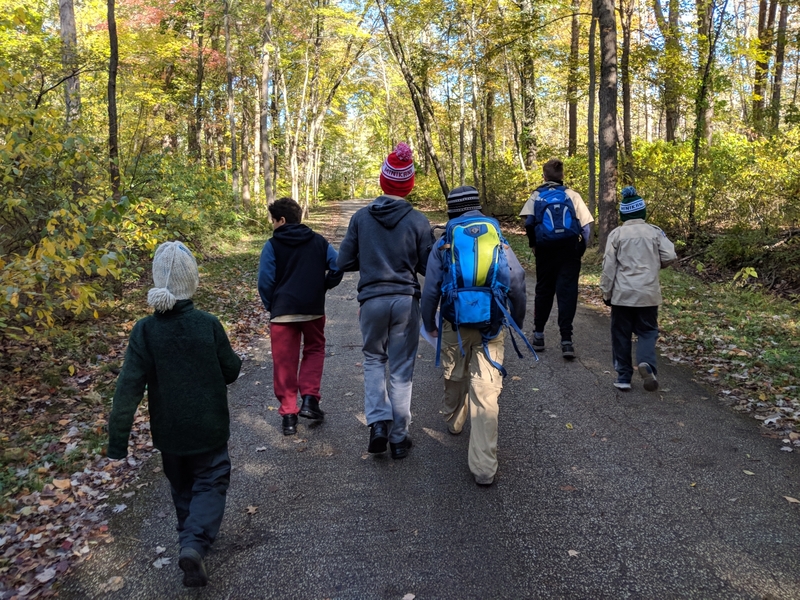 Scouts hiking the trail home. It's a shame to leave such a beautiful place, but they're exhausted. 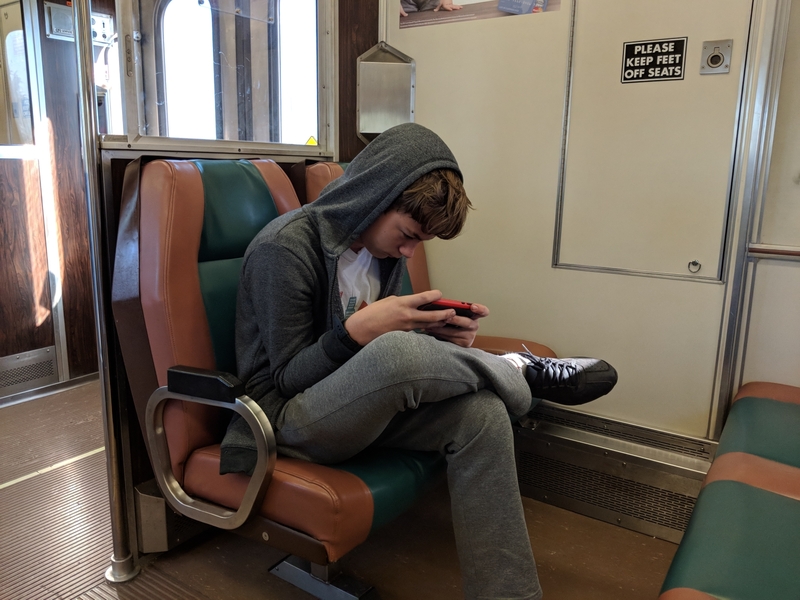 A scout doing his homework on the train on the way home. Is this your average teenager? No, this guy can break camp in less than 30 minutes.